Notary errors on election paperwork caused an unopposed incumbent candidate to be dropped from the November ballot, forcing a Florida county to spend nearly $320,000 on a special election. 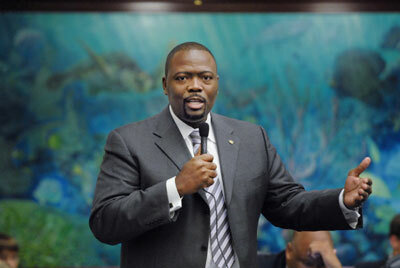 The problems started when State Representative Reggie Fullwood was removed from a ballot for an election held last November in Duval County. The state Division of Elections found that a Notary who performed a jurat on Fullwood’s candidacy paperwork failed to sign a jurat certificate. When the Division notified Fullwood, he had the document re-notarized before the deadline, but the second Notary failed to properly complete the certificate wording. By then, there was not enough time for Fullwood to have the second flawed notarization corrected. Fullwood was removed from the ballot because he was unable to correct the issue in time to meet filing deadlines. Since he was running unopposed, there were no candidates to fill his Jacksonville seat. He sued to be placed on the ballot, but a circuit court judge ruled against him. As a result, there were no candidates available for the original election last November. Consequently, Duval County was forced to hold a second primary and special election in which Fullwood was able to run and win. A county elections official estimated the second election cost nearly $320,000, according to local news reports. Fullwood isn’t the first elected official to run into problems with Notary mistakes on election forms. Notary errors on nomination papers, candidate affidavits and other document omissions may challenge the results of local elections. Other candidates throughout the country have been forced to miss filing deadlines like Fullwood, making them ineligible to run for office. Fullwood’s case illustrates the potential consequences a seemingly minor error in a Notary certificate can cause — and it shows why it’s so important for Notaries to ensure they complete certificate wording properly when notarizing signatures.